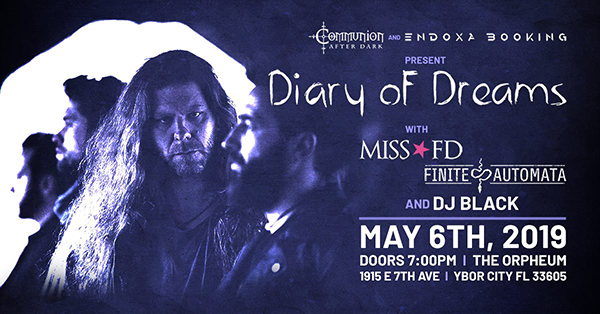 Tampa, FL: I'll be opening up for Diary of Dreams at The Orpheum, on May 6th, 2019, with special guests Finite Automata and DJ Black. This will be Diary of Dream's exclusive Florida show! October 5th, 2018 - Dark Electronic music artist Miss FD releases lyric video for her new single "Ashes of Stars". 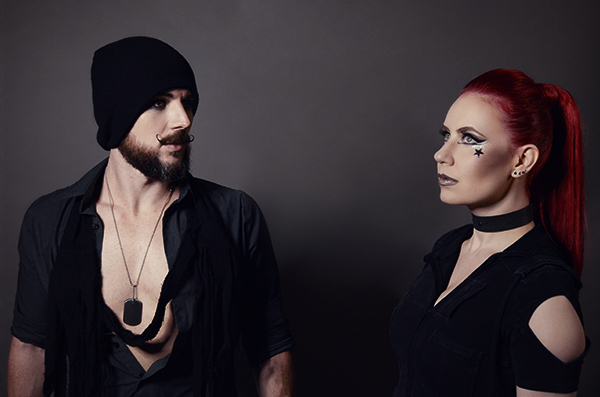 Filled with infectious synths and a euphoric groove, "Ashes of Stars" is one of Miss FD's most dynamic songs to date. 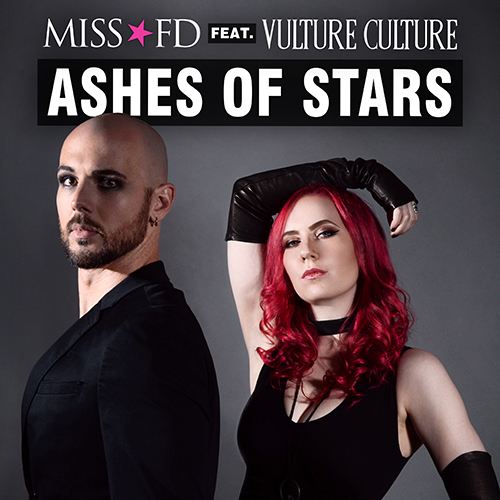 Featured on "Ashes of Stars", is Industrial music artist and producer Vulture Culture, who has been featured on previous Miss FD tracks, including "Delirium" from her latest album Transcendence, and also on the "New Era" track for Alfa-Matrix's Electronic Body Matrix,Vol 2. The lyric video for "Ashes of Stars" is out now and can be seen below. The new single is available worldwide on all major streaming outlets through Quantum Release Records. You can download Ashes of Stars (feat. Vulture Culture) on iTunes. 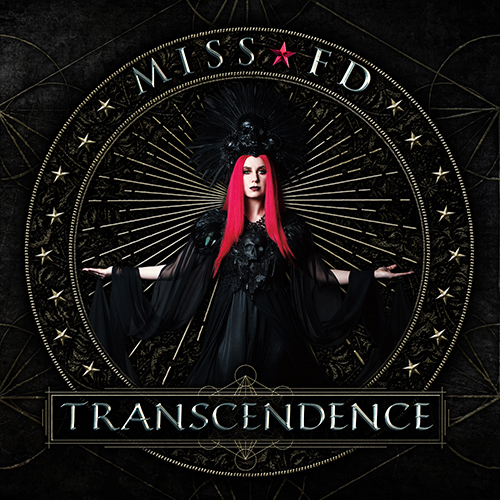 FORT LAUDERDALE, FL - Dark electronic music artist Miss FD releases her fourth studio album today on Quantum Release Records, titled Transcendence. The album features seven new compositions written and performed by Miss FD, and includes collaborations with Vulture Culture and Robert Dante. The new album is available on iTunes, Spotify, and other digital media carriers. 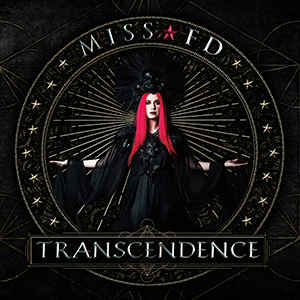 Orders for physical CDs placed directly through MissFD.com include availability of a limited edition 4-CD discography with Transcendence and Miss FD's prior albums Monsters in the Industry (2010), Love Never Dies (2011) and Comfort for the Desolate (2013), as well as other exclusive merchandise. The opening track "Despair" is also featured in a new music video directed by Chad Michael Ward, which "invokes feelings of isolation and existential suffering," says Miss FD. "Once accepted through self-examination, these emotions can become a source of primal healing, rather than an over-medicated symptom." Robert Dante, featured on earlier Miss FD songs, contributes string and guitar arrangements throughout Transcendence, and a piano performance of Miss FD's "Transcendence Intermezzo". Vulture Culture's Alex Dalliance's production work is featured on "Delirium". Introspection and acceptance thematically permeate the album, which concludes with "Icarus", after the Greek mythological figure who famously soared on wings too close to the Sun. 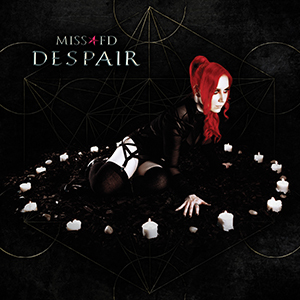 Miss FD Presents Music Video for "Despair"
March 9, 2018 - Directed by Chad Michael Ward, the music video for "Despair" was filmed last summer in Hollywood, CA. Conjuring imagery of a newly summoned life's suffering and isolation, the video expresses the feeling that the forces behind our existence and personal sense of conscious awareness are beyond our understanding or control. The track is the first glimpse off her upcoming album Trancendence, to be released on March 27, 2018. 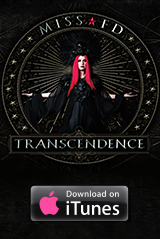 Order Transcendence now through iTunes or Miss FD's Shop.